The makers of The Division at Ubisoft are doing some unusual things to tie their first game into its upcoming sequel. So far, I’m into it. The original Division—a third-person, cover-based, sometimes-multiplayer shooter set in a wrecked, wintery New York City—came out back in early 2016 and was heavily patched and expanded consistently until late 2017. A sequel was announced earlier this year, and it’s slated to come out in March 2019. 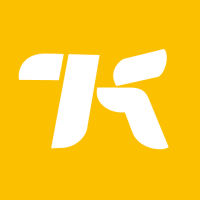 Normally you’d have a dry spell in between as the developers prioritize making the new game, but as of June, the original game has challenges that will unlock things in the sequel and also possibly add new lore, in the form of a dozen new audio logs. It’s that last part I’m most intrigued about but can’t fully judge yet. 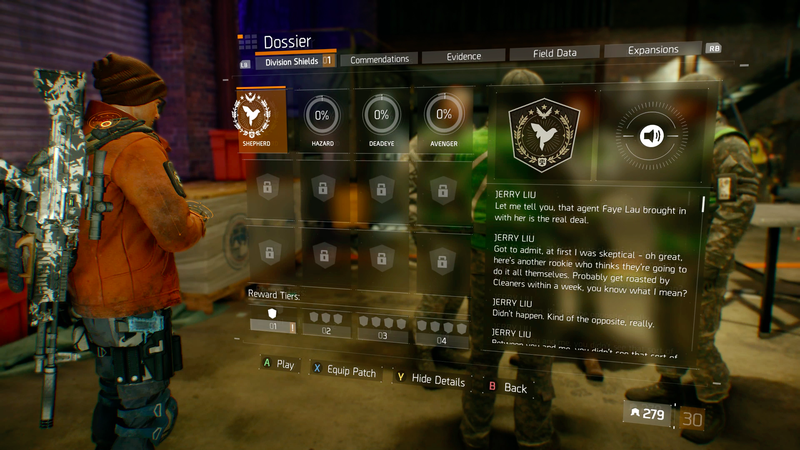 The overall system connecting the two games is referred to as “shields,” a reference to the patches players can unlock for their character as they play, but the name isn’t good at explaining the scope of the interesting thing Ubisoft is doing. Jerry Liu: Let me tell you, that agent Faye Lau brought in with her is the real deal. Got to admit, at first I was skeptical — oh great, here’s another rookie who thinks they’re going to do it all themselves. Probably get roasted by Cleaners within a week, you know what I mean? Didn’t happen. Kind of the opposite, really. Between you and me, you didn’t see that sort of performance out of every Agent. You still don’t. I’m telling you, right now, I’d follow that Agent into hell. Or uptown, whichever comes first. Not sure you could tell the difference at this point. There are three more shields attainable in the game, each offering elite loot rewards and new audio logs. Each is locked behind more formidable challenges. One asks the player to clear eight high-value-target enemies in a week, a feat that requires some grinding and either some expert play or some co-op pals. Another requires players clear 25 landmark locations in the game’s semi-PvP Dark Zone. Prior progress isn’t counted for these challenges. Completing the first challenge unlocks a basic reward for The Division 2: a special pattern you can apply to your guns. Finishing three more shields unlocks a jacket and a patch for your character to wear in the sequel. Players who complete all the shields will unlock an emote and what looks like a teddy bear trinket. Weird. One of the catches is that all of the shields aren’t attainable yet. Ubisoft is making a new one available bit by bit as the sequel’s release gets closer. A fifth shield will supposedly go live tomorrow, according to an in-game counter, and with it will be new rewards and a new audio log. The system is too new and too early in its roll-out for me to appreciate it in practice as much as I like it in theory. What I see of it now shows potential. There’s the potential to give players a tour back through the sprawling original game by giving them tasks that pull them around the map and through the game’s modes. There’s the potential to arm them with the best gear without worrying about random drops. And there’s the potential to dribble out some new lore that, potentially, could bridge the story of the first game to the second. I don’t know if they’ll do all of that the way I hope, but I like that they’re trying. I like the idea, in this era of live, constantly-updated games, of one game changing even in small ways to set players up for a sequel. Sure, it fulfills a marketing role of getting Division players thinking about The Division 2. It’s also just fun to go along with this creative challenge, to experience yet another thing that massively multiplayer online games (and Portal!) have done for ages and be part of a game that sets players up for something new and exciting.